Followers of Planet Ocean News may have noticed that the page has gone dark these past few months as I have come up to speed in my new position as Director of Communications for Dr. Sylvia Earle’s ‘Mission Blue.’ Now I am looking forward to posting more often with some exciting, and always thought provoking content. First up, Mission Aquarius! 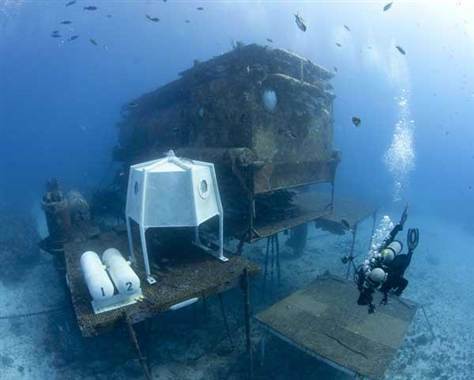 Training begins tomorrow off the coast of Key Largo in the Florida Keys National Marine Sanctuary, for Mission Aquarius, ‘Celebrating 50 years of Living Beneath the Sea.’ The mission seeks to highlight not only the achievements of Aquarius, but also its tenuous future in today’s uncertain economic and political climate. A question for you. Have you ever heard of Aquarius Reef Base? Don’t feel badly if you haven’t. 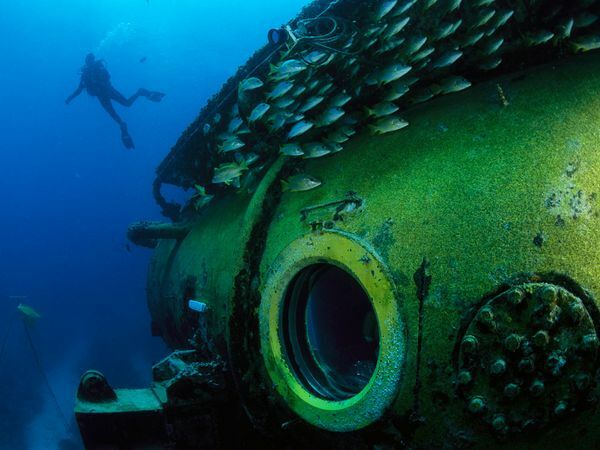 Somehow this incredible feat of underwater engineering has largely escaped the public eye for the all the years that it has been in operation. 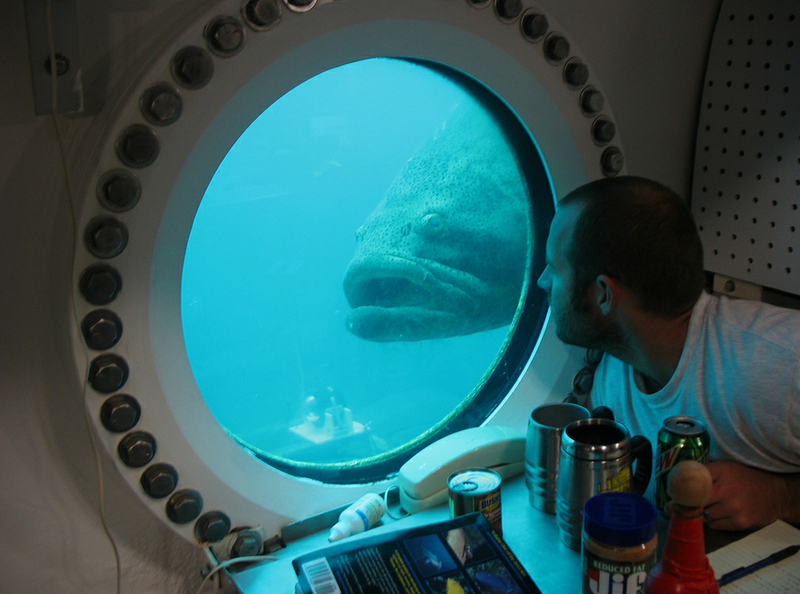 Since 1993, the Aquarius undersea lab has supported 114 missions, with over 550 peer-reviewed scientific publications produced, numerous educational programs, and television pieces. 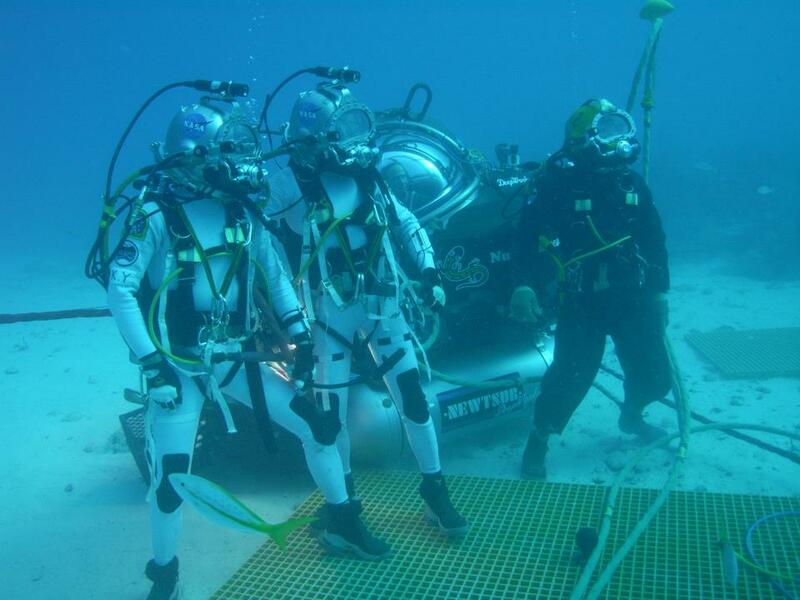 NASA has participated in a number of programs to research everything from the psychological effects of living in close quarters to mining asteroids (see NASA/NEEMO Website here). The Aquarius Reef Base is also supporting one of the longest running and thorough coral reef monitoring programs in the world, critical given current ocean stressors such as climate change and ocean acidification. Aquarius has provided the world’s leading marine scientists with the opportunity to live aboard and engage in complicated research projects that could only have been carried out from saturation diving. By living and working on the seafloor for an extended period of time (up to 10 days,) scientists are able to comprehensively and intimately study and document the coral reef ecosystem. A cohesive partnership has formed between Mission Blue, One World One Ocean, Google, The Aquarius Foundation, NOAA, UNCW (The University of North Carolina at Wilmington,) National Geographic, and Reef Base Aquarius and the collaboration promises to be a powerful force bringing public attention to the achievements of Aquarius as well as to what may be lost if this should be the last mission. The media teams will be transmitting across multiple platforms from Mission Aquarius through live feeds, social networks, feature articles, as well as mainstream media. Dr. Earle and Principal Investigator Mark Patterson will speak live with students from Williams and Mary College, there will be a live feed with Chautauqua Institution, a Google + Hangout, and possibly even a call-in with Ira Flatow’s always entertaining and fascinating NPR show, ‘Science Friday.’ We’ll keep you posted. One World One Ocean will be on site with IMAX cameras, and DJ Roller of Liquid Pictures 3D will be shooting in 3D. Yours truly will be there with my trusty Go Pro. We hope that you will help us to maximize this educational and outreach effort, and to use this rare opportunity to increase ocean literacy. So tweet it, facebook it, and e-mail our news if you can. The ocean would thank you if she could! Much more content on Mission Aquarius is on it’s way, so stay tuned!